Can’t find the answer to your question in our Camco FAQ’s, please contact us in the contact tab above and we’ll be in touch asap, or call us on 0800 663 500 (NZ) or 1800 663 500 (Australia). Q. What are the health and safety benefits of a Rolaworx Drawer system? A. The health and safety benefit of a Rolaworx drawer is that the cargo rolls out to the operator – this saves crawling into the back of your vehicle to reach your tools. Saves back strain and injury. Q. Are the industry fitouts in your industry fitout section all that you do for these industries? A. No, these are only examples – our sales team will work with you to provide the solution you need. Q. How would the aluminium flat decks compare with steel decks for durability? A. Uteworx aluminium flat decks are skillfully designed with a one piece tie down rail which combined with the double skinned sides make for a very strong deck with a fraction of the weight of a steel deck and eliminates any potential rust risk. Q. What weight capacity do your Rolaworx drawers have? A. Each drawer has a 400kg capacity, while the aluminium drawers have a 200kg capacity. Q. What weight capacity does your shelving have? A. Versi shelving can carry 35kg per shelf and Vorta shelving can carry a huge 60kg per shelf. Q. Why are your Rack-It legs bolted on to the ute canopy? Q. Can I get someone near me to fit your products to my vehicles? A. Yes, you can use one of our fitting agents, or we can transport it to whoever you would like to use. Q. Would you be able to create a special fitout for my specific needs? A. Certainly, we can design to meet your requirements. Q. Do all commercial vehicle fitters put rubber isolators under the roof rack legs on the ute cab? A. 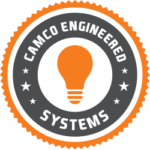 No, this is special to Camco – our CES (Camco Engineered Systems) – developed to provide solutions for real problems. Q. We get our vehicles through a lease company. Can we add the fitout to the lease? A. Yes, certainly we can. The way this is normally done is to add the investment to the monthly lease payments. At the end of the lease term, then you own the fitout and can transfer it to your next vehicle if you choose to. Q. What size are your Rolaworx drawers? A. The drawers sizes vary from vehicle to vehicle. We make the drawers vehicle specific to ensure the full space is utilised. Q. How long does it take to make the drawers? A. There is a 14-21 day make and supply time frame. We do keep some stock so enquire if you need to have it sooner. Q. We have a number of branches throughout NZ and would require fitouts done for them. Can you arrange this? A. Yes, no problem – we have sales staff in both the North and South Islands and an affiliated company in Australia so we are well placed to provide for a wide geographical area. Vehicles can either go through our Cambridge workshop en route to their final destination, or we can arrange for our fitting agents throughout New Zealand to do the work for you. Q. Which type of canopy is best? A. As with most things, all have different features. 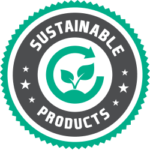 We mostly find the ABS plastic canopy appeals to customers as they look good, have the features workers need, and are fully recyclable which is important to the environment. We can help you look at the features of each type to decide what is best for you. Q. What type of warranty do your products have? A. 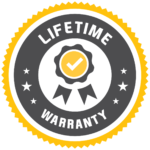 All Camco products carry a lifetime warranty. Q. Are your Gullwing boxes painted or powder coated? A. We powder coat our products rather than paint as it is more durable. Q. What are your Gullwing toolboxes and service bodies made of? A. Our Gullwing Toolboxes and Service Bodies are all constructed of high quality marine grade aluminium. Q. Where are your Camco products manufactured? A. 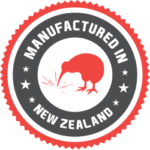 All Camco products are designed and manufactured in New Zealand for New Zealand conditions – long lasting, high quality, genuine product. Q. Can I install my Rolaworx drawers myself? A. Yes, the Rolaworx drawers come fully assembled with a fitting kit and instructions. Q. Do your Rolaworx Drawers come with dividers? A. yes, each drawers comes with 2 removable dividers as standard. Q. Why use Rolaworx Aluminium drawers rather than the traditional steel drawers? A. The lighter weight aluminium drawers allow a higher payload / more tools and equipment to be carried in your vehicle. Q. Do your Rolaworx Drawers suit SUV’s? A. Our standard range of drawers is only suited for utes and vans. Q. Do you have any mobile demo units i can view? A. 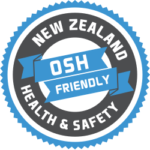 Yes, we have demo units in both the North and South islands, please give us a call to arrange an on-site demo.